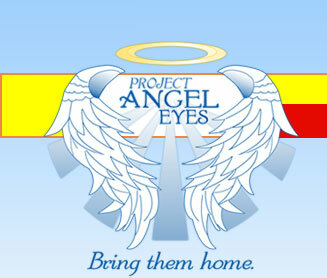 Project Angel Eyes was founded in 2009 by Jessica ShiptonDutter. After following the Caylee Anthony case for so long, Jessica realized there was a real epidemic of missing people in the United States. Jessica decided she should do something about it. Project Angel Eyes was created to bring awareness to the over 100,000 missing Men, Woman, and Children in the United States. Most of them you never hear anything about. How can someone be found if no one knows they are missing? They can’t. That is why Project Angel Eyes strives to make sure that all the faces of the missing are not pushed to the side and only a select few be brought to the attention of the public. Every missing person is equal. They are all special and all deserve the same attention.